Over the past few weeks, we have been asked by several residents: Should I use a “Tot Finder” sticker in the window of my child’s room? This is a great question and one that often brings about controversy when answered. We at Upper Saddle River Fire Department prefer to teach a proactive, quick response to fires. The use of these decals could provide a false sense of security for your family. Through various public education programs, we begin educating children at a very young age about the basics of a home escape plan. Children are taught the importance of responding quickly to a smoke alarm, knowing two ways out of each room, crawling low in smoke and having a meeting place outside their home. Children may feel that by having this decal on their window, it will be okay to stay and wait for the fire department and this isn’t the message we are trying to teach them. They need to learn the importance of getting out of the house as quickly as possible and STAYING OUT! There are other reasons why the use of these stickers is not recommended. 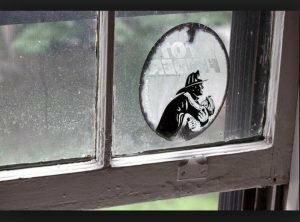 • One reason being that when children grow up and move away from home, or change bedrooms in the house, the decal remains in the window. Perhaps the room has been converted to an office or den and is no longer a bedroom at all. This places firefighters at undue risk by directing them to search for a child when in fact there are no children in that room or living at home. • Another reason why the decals are not recommended by USRFD is because it provides a vulnerable spot for your home. The decals could act as a signal to unwanted individuals directing them to the location of your children. • Finally, it is important to understand that when the fire department responds for a fire, the firefighters are trained to perform a systematic search of the entire house. 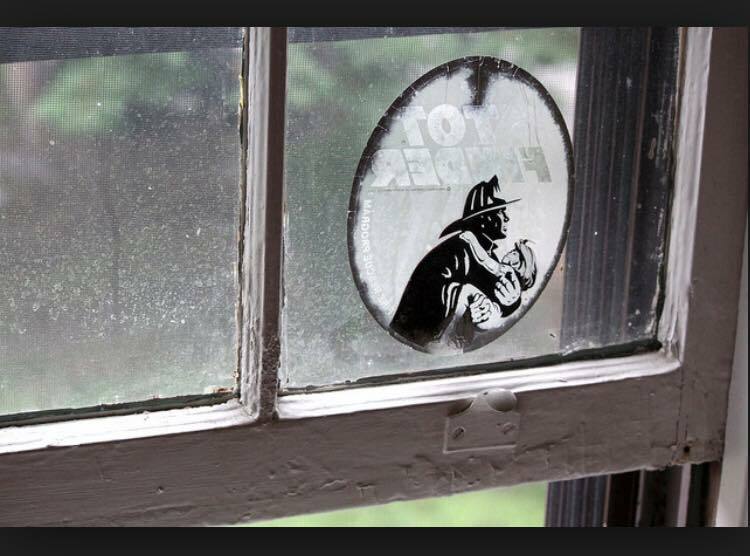 If firefighters were to first look for windows containing a Tot Finder decal, and search only those rooms, precious time is wasted. Rest assured, in the event of a fire, firefighters will search every room within the residence, regardless of whether or not it has a decal on the window. If you have decals in your home, Upper Saddle River Fire Department recommends you remove them. Then get your family together and take the time to develop a fire escape plan indicating two ways out of each room and a meeting place outside. Be sure you have at least one smoke detector on each level of your home and remember to test them every month and change batteries twice annually. Once you have a plan developed, you need to practice it to be sure everyone knows what to do. You can make it more interesting by blocking an exit with a sign stating that a particular exit is blocked by smoke or fire so family members will have to use their second way out. Use this information to make your home a safer place. Then tell a friend or a neighbor so they will know what to do in the event of a fire. If you have any questions regarding your home escape plan, please contact the USRFD by messaging us on Facebook, at info@usrfd.org or phone the USR Fire Prevention Office at 201-327-4343 and we will be happy to answer them.